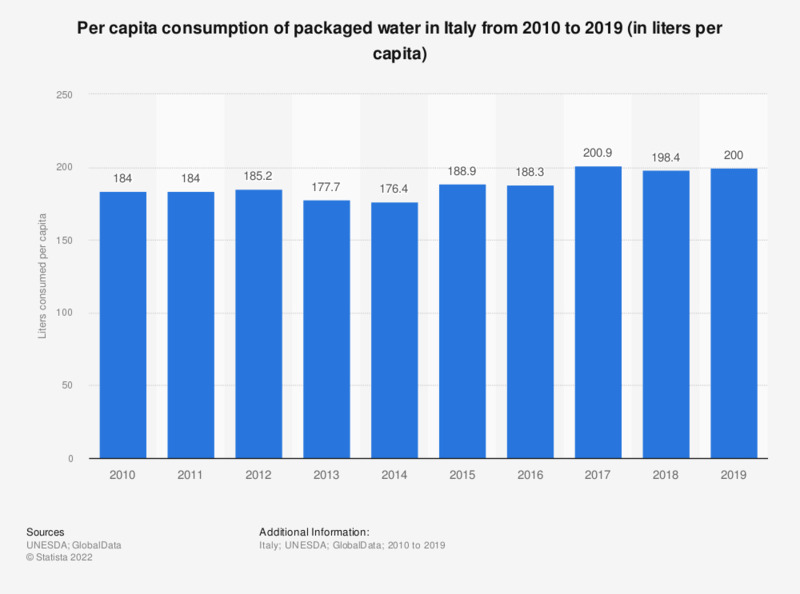 This statistic shows the per capita consumption of packaged water in Italy from 2010 to 2017. In 2010, 184 liters of packaged water were consumed per person in Italy, and consumption increased to 200.9 liters per person by 2017. Figures for year 2010 were previously published by the source.